Airbnb rental laws, Sydney, New York, Venice, Japan: Is there a problem with Airbnb? Does Airbnb have a problem? It feels like things are rapidly changing for the home-share and apartment rental website and its competitors, as laws around the world catch up to this new model of accommodation, as push-back in certain countries and cities becomes more forceful. In just the past week or so, things have changed for Airbnb. Here in Australia, the NSW government voted to impose a 180-day cap on the number of days a year an empty property in Sydney can be rented out on a short-term basis. 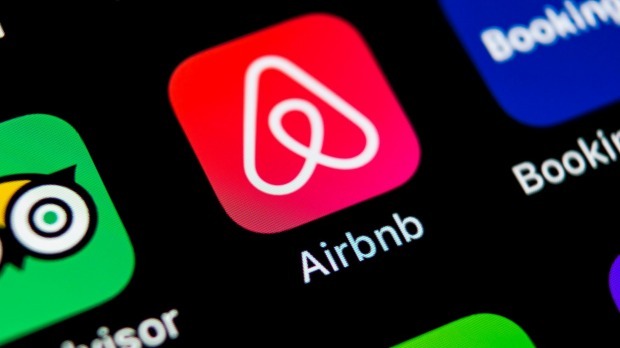 Strata corporations will also now have the power to ban Airbnb in their buildings. In Japan, meanwhile, close to 80 per cent of the country's apartment listings on Airbnb recently disappeared pretty much overnight, as its federal government prepares to enforce new laws governing the use of Airbnb, forcing all homeowners to gain official approval before listing their properties. That's a huge change that will permanently wipe plenty of Airbnb options off the map. Protest movements are also growing in major cities around the world, in places such as Venice, Berlin and San Francisco, as residents publicise the negative effects of Airbnb, as long-term citizens are forced to move out of their homes to make way for investors and Airbnb customers. So the question is, does Airbnb have a problem? And the answer is no. Airbnb doesn't really have a problem. As long as a demand exists, a supply will find a way to be there. People will get around laws if they need to. These things have a way of forming unstoppable momentum, and Airbnb has that. The only person that has a problem is you, and me, and every other traveller out there who uses this service. It's the users of Airbnb who need to be paying attention. It's travellers who now choose to stay in people's homes instead of in hotels and hostels who need to stop and think. I'm one of them. Chances are you're one too. It's time to soberly weigh up the effects of apartment rentals and decide if you're comfortable with the negatives. Airbnb will say they're fine with that. They've welcomed the new regulations in NSW, for example, saying they'd prefer to be regulated and to be acting within the law. They also regularly point out the money that their service brings in to local neighbourhoods – that it's not just the homeowners who benefit from an apartment rental, but the local cafes and bars, the supermarket, the convenience store, all of those people who suddenly have extra customers roaming their aisles. And those are good points, something to take into consideration. You also, however, have to take into consideration this: the Airbnb model is forcing some long-term residents of popular tourist cities out of their homes. As soon as it becomes more profitable to buy an apartment and rent it out to travellers, instead of putting someone in there to live full-time, there's a problem. And you, the traveller, are contributing to that problem. I know Airbnb guests aren't welcome everywhere they stay. I have friends who live in tourist areas of Europe who despise the regular ebb and flow of bewildered travellers into their apartment blocks. I stayed at a place in Tokyo recently that had a large sign in the elevator stating, in English, "Minpaku forbidden". Minpaku means apartment sharing. Short-term rentals. Me. So what's the answer? How do you travel responsibly, and yet still access the many benefits the Airbnb system provides? This system, after all, was supposed to be a way for people to make a little money from their properties on the side. Everyone can win if this is done properly. One thing you can do is limit your use of Airbnb, in the same way as governments are now seeking to limit nights a year. I love having the chance to stay in local neighbourhoods, in places where there are no hotels and fewer tourists – however, maybe it's time to balance that, to spend as many nights in hotels and hostels as you do in Airbnb apartments. If you really love apartment- or home-share stays, it's also a good idea to sacrifice the comfort of a full property to yourself, and to instead share the place with the owner. Just take the spare bedroom. That way you can ensure your money is going to residents, rather than investors, and you're actually helping local people stay in their homes, rather than kicking them out. These are just a few small measures, but they're necessary. Otherwise there will come a day when you'll go to Venice, or you'll go to Berlin, or you'll go to Barcelona, and you'll look around for that cool little cafe or that great wine bar, that hit of authentic local culture and local life, and it won't be there. There will be no local secrets, because there will be no locals. It will just be tourists. Do you use apartment rentals when you travel? Do you think travellers should be more aware of their effects on locals?